It is with heavy hearts, that the family of Byron (Bud) Batt announce his passing on Tuesday, January 1, 2019 at the age of 82 years. Byron (Bud) was born in Benoits Cove on June 13, 1936, the first of ten children born to Russell and Marjorie Batt. Dad met Mom in 1958 and they were married December 22, 1959 and were blessed with four children. Dad was a dedicated and hardworking man but always made time for his family. Our two week summer family vacation holidays were looked forward to by the whole family. Dad became a member of the Elks in 1970. He was a loyal, true and steadfast friend. Dad did not look for glory or accolades, but he was the quiet one in the background helping and ensuring things got done in a timely fashion. Bud was predeceased by his wife Elizabeth, parents Russell and Marjorie, in-laws Aaron and Annie Peddle, grandsons Owen Dean John Nilsson, Dallen Rodney Batt, daughter-in-law Mia Batt, brother Jim Batt, sisters-in-law Voira Batt, Deliah Batt, Margaret King, Shirley Hulan, Roella Peddle, Valerie Peddle, Mary Jones and brothers-in-law Gerald Peddle, Bill Jones and Richard Williams. Leaving to celebrate his life and keep his memory alive are his children: Byron (Dorothy), Joanne (Darcy), Clifton, and Russell (Candace). Grandchildren: Howard (Heather) and their sons Benjamin, Nicholas and Nathaniel, David (Eden) and their sons Daxten, Edwin Tammy, Duane, Elizabeth, Casey and CJ (Clifton Jr.). Brothers: Sam, John, Frank (Mary), Gordon (Judy) and Terry (Louise). Sisters: Joan Williams, Ena Rowsell (Bram) and Mary Batt (Derrick). In-laws: Gerald, Norman (Ann), Sterling, Ross (Diane), Prinzeline Laundry (Albert) and Clara Gillingham (Ralph). A large circle of nieces, nephews, cousins and friends will also feel the emptiness left by Bud’s passing. A visitation for family and friends will be held from Country Haven Funeral Home, 167 Country Road, on Friday, January 4 and Saturday, January 5, 2019 from the hours of 2-4 and 7-9 pm. A funeral service will be held at St. Michael and All Angels Anglican Church, Park Drive, Corner Brook on Sunday, January 6, 2019 at 2 pm with Reverend Roberta Woodman officiating. Interment will follow at Mount Patricia Cemetery. 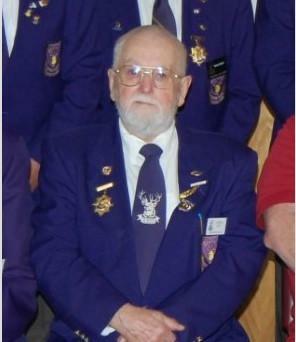 In lieu of flowers, donations may be made to the Elks and Royal Purple Fund for Children. Funeral arrangements are entrusted to Country Haven Funeral Home. A family guestbook for condolences can be signed by visiting our website www.country-haven.ca.